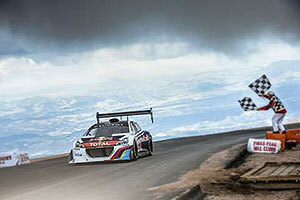 Watch as Peugeot blitzes Pikes Peak in a 208 T16 driven by Sebastian Loeb at an average speed of 145km/h. The Peugeot 4008 … well equipped and reasonably priced too. An award winning Peugeot is headed this way. Peugeot’s new concept car incorporates two engines – the petrol engine drives the front wheels while the electric motor drives the rear wheels. Peugeot drops prices across the range and introduces new safety features. Peugeot 4007 – stylish, economical but how much it will cost is a bit of a mystery.